Few of us have seen changes to the Tax system as sweeping as those approved at the end of 2017 (to go into effect this year and beyond). 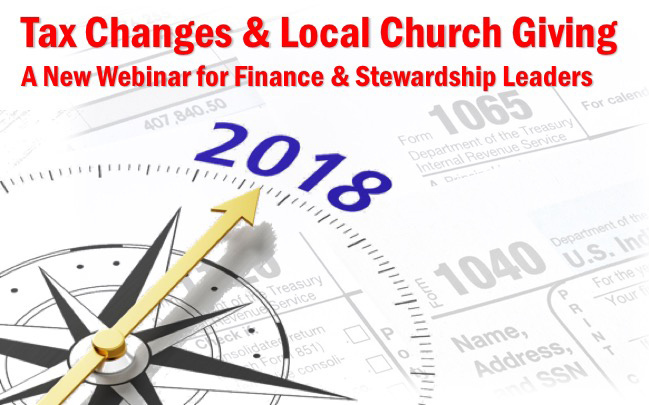 One area of great interest, impact and anxiety for leaders in the church is the increase of the standard deduction with fewer taxpayers being able to itemize deductions, including charitable giving. Some say the impact will be minimal, others day it could be catastrophic for churches and other non-profit that rely on smaller gift donors. How can we face the future with faith not fear?